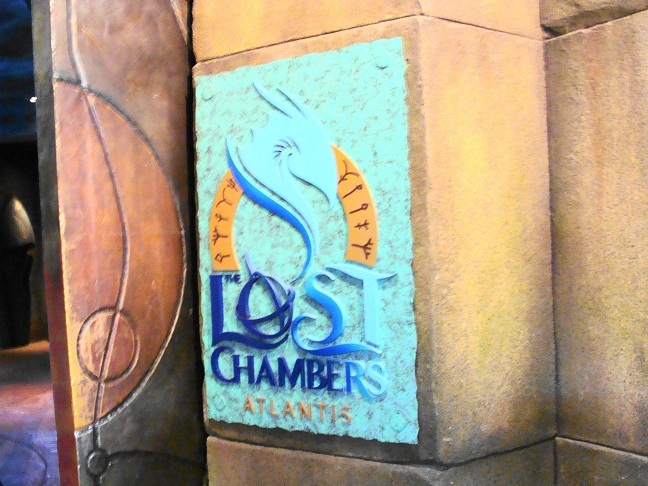 During the summer holidays we had visited the “The Lost Chambers” at Atlantis. 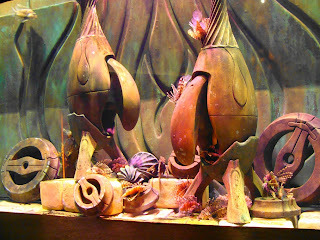 I was not very happy with the pictures I had taken and so had decided against putting them up on the blog. 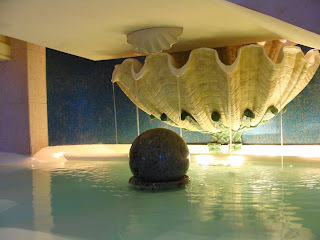 Now when I’m running out of subjects to blog about, the same pictures don’t look half so bad:-)). The Atlantis is a famous hotel resort at Palm Jumeriah and without a doubt a must-visit-atleast-once tourist attraction of Dubai. 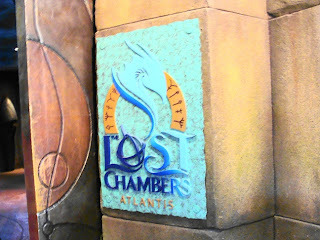 The Lost Chambers is a series of inter-connected chambers(around 10 I think) with a theme. 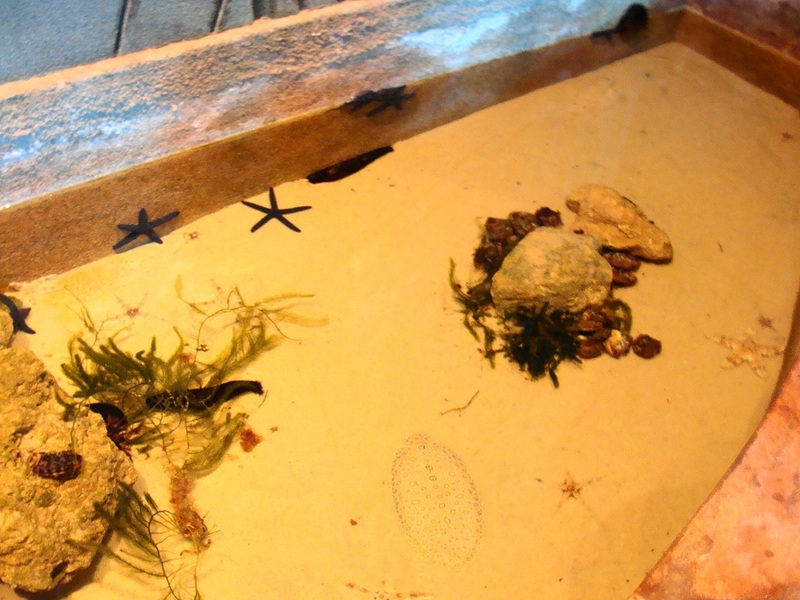 It boasts of maintaining 65,000 marine inhabitants. A lot of thought has gone into creating this amazing experience. 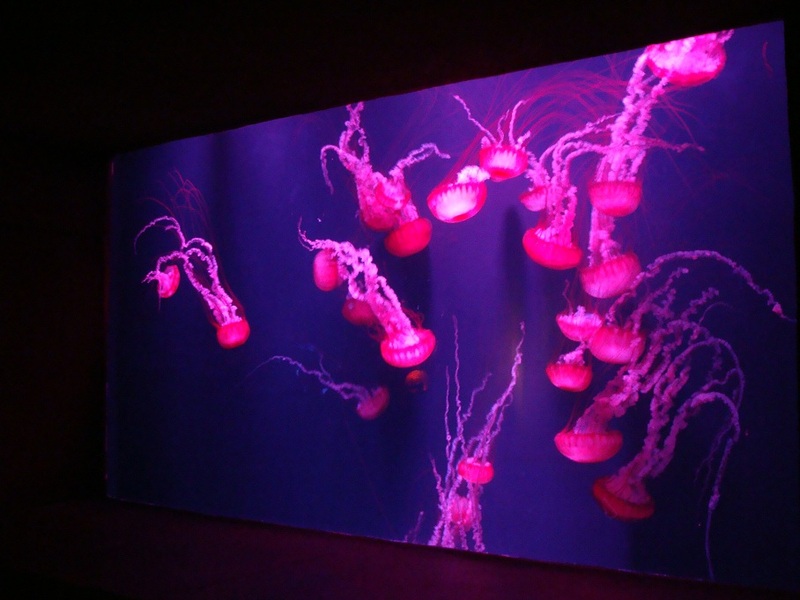 The beautiful layout, lighting, recreation of habitat, the stunning displays, the astounding number of underwater species all combine to create a very unique and special one-in-a-lifetime aquarium experience. The whole experience if done quickly takes about 20-30 minutes but I’d encourage you to stay and explore. Read up all the material given alongside and make it worthwhile. There is no time restriction which means you can spend the whole day inside if you feel like it. 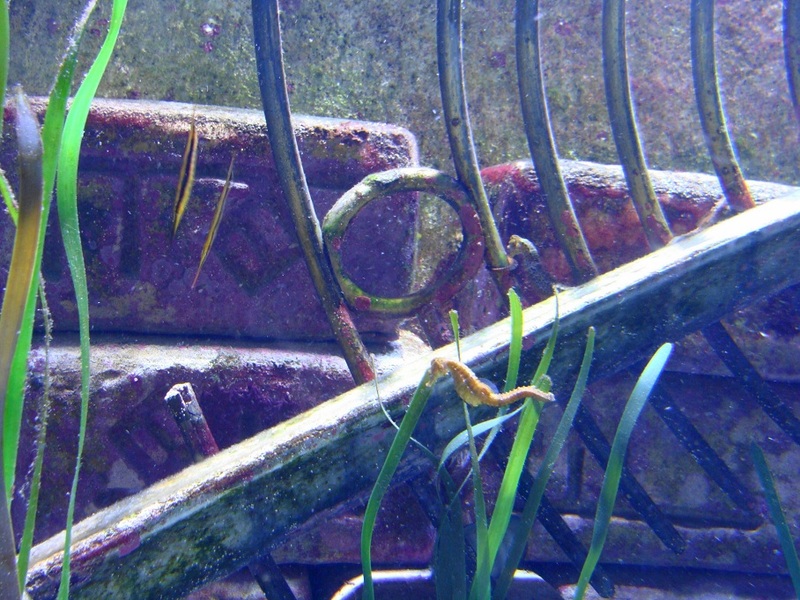 Did you know watching fish is therapeutic according to Scientists? 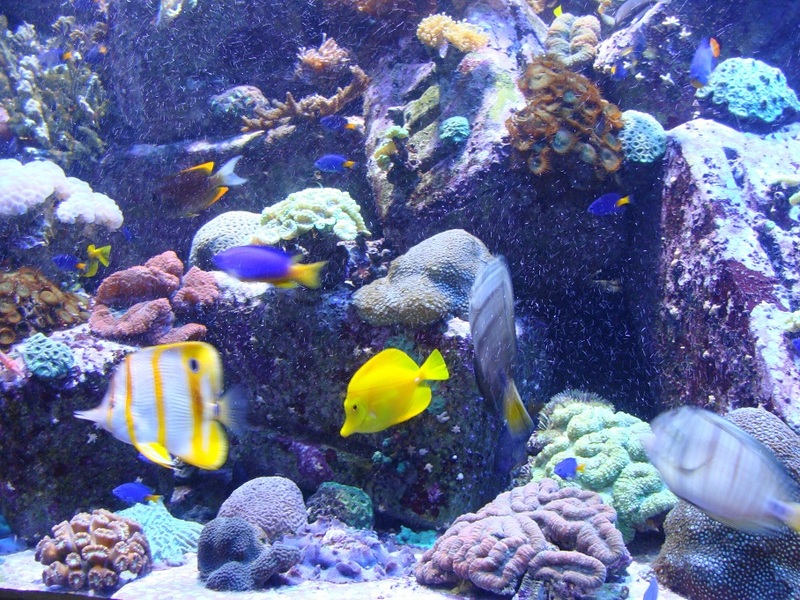 Most of the aquariums have a seating arrangement; you can just lean back and let the fish lazily swimming in and out of the foliage mesmerise you. 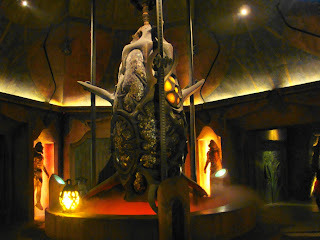 My whole experience was ruined by a group of local children who used the dark chambers and its ambience as a backdrop for battle and ambush; shrieks and screams punctuated the atmosphere as they jumped out of dark corners and scared their friends But once they left it was calm and serene once more. The whole experience is priced at 100dhs per person and the general verdict is that it is quite steep. If you[or anybody in the group] are carrying an emirates id with you then you can get a 25% discount on the ticket price. 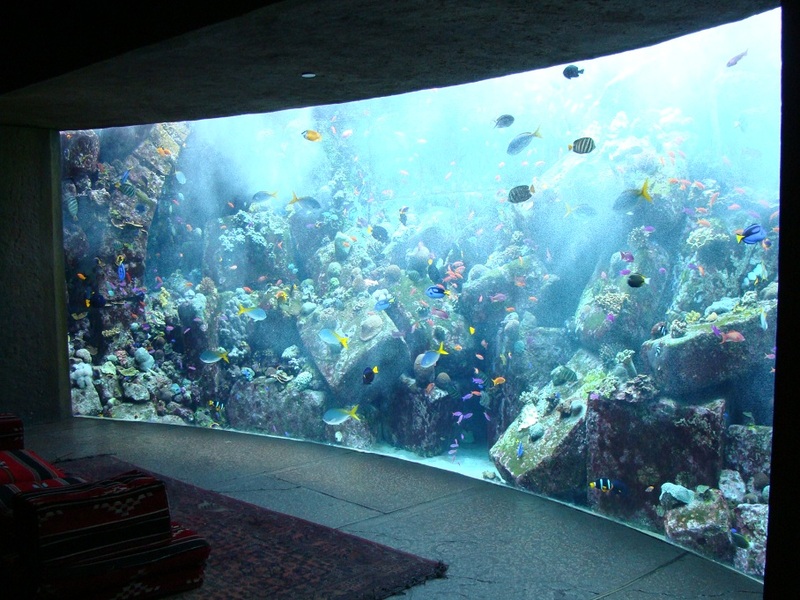 On the other hand, if you are a guest at Atlantis then the whole experience is free. 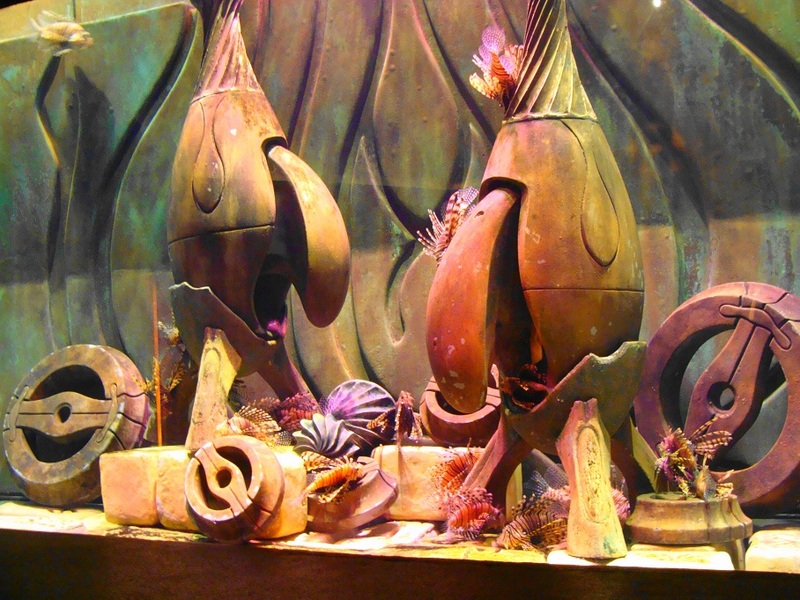 The whole experience is surreal like visiting a lost world. 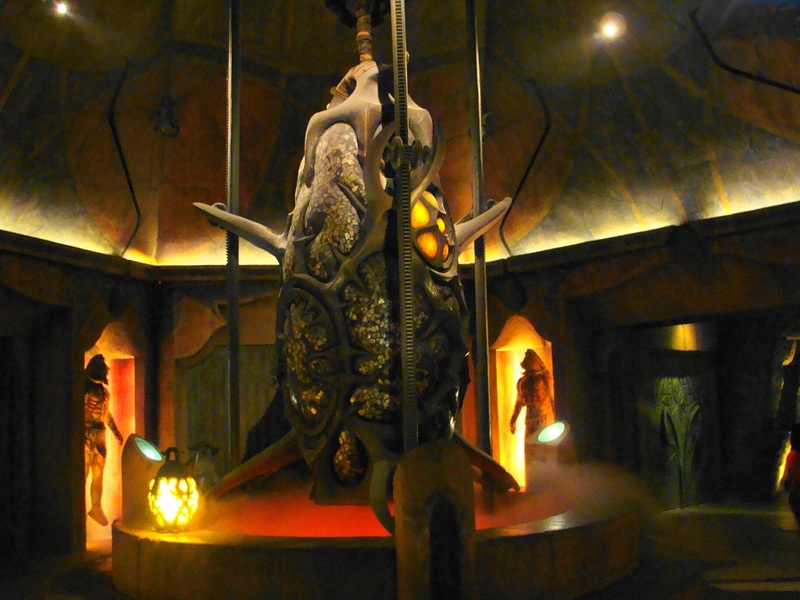 It’s definitely worth one visit and children will love it. This sounds lovely, Nancy! And, wow, you are here with a post even when you are sick! 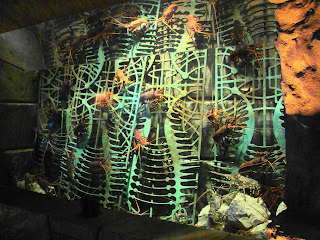 Nice place with whole range of sea creatures-I've never seen a lion fish. 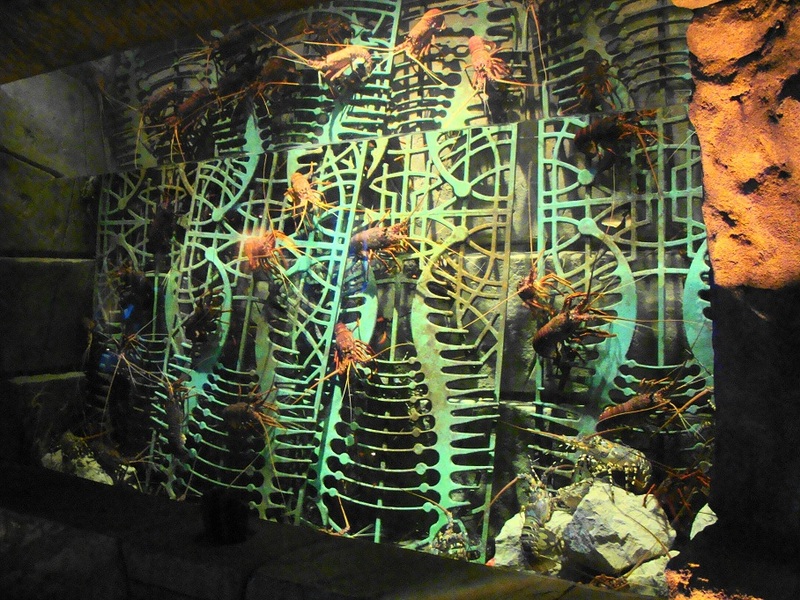 The lionfish is really beautiful...my pictures don't do it any justice;-/. The first & most imp thing I have to do is to open my mind. The sea at close range scares the life out of me;-P. At the most I'll wet my feet upto ankle level;-S. Seriously I'm such a party-pooper;-). Yeah The Lost Chambers is a good place to go if u like watching fish...and ur kid will definitely love it. I soooo get what u mean...happens with me too and half the time I don't need an excuse....a beautiful flower, a sunset, greenery, anything, everything reduces me to tears:-)). Fishes really do calm you. Hey, how abt a small aquarium at your place? When u put it that way I have no answer;-P.
It is definitely worth one visit Lan:-).